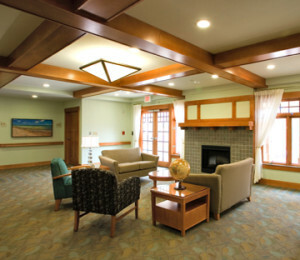 Waterford Place is a senior living complex designed for active seniors who wish to have an option of aging in place. 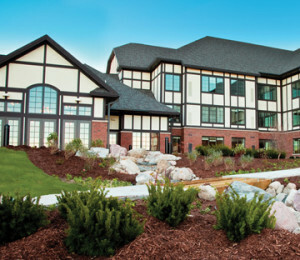 The Phase II project includes Master Planning for the remaining campus area and schematic design for 108 independent living units, parking garage, 26-bed assisted living facility, 40-bed skilled nursing facility, and expansion of a Community Building to include a pool/spa room, fitness center, full service kitchen and dining room with seating capacity for 150 patrons, bank, beauty salon, garden room, multi-purpose room, storage facility and offices. 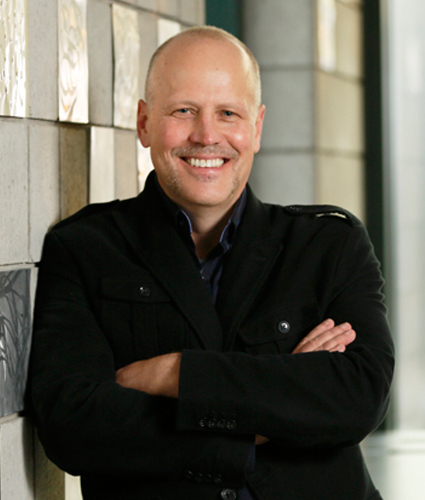 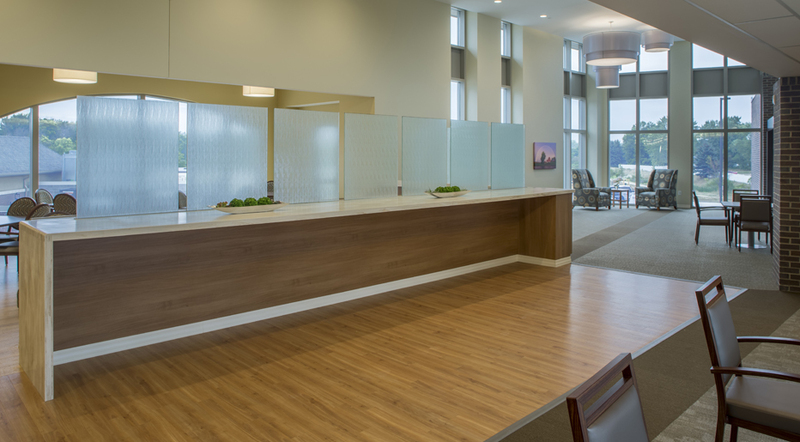 Total square footage of the project is approximately 251,930 square feet. 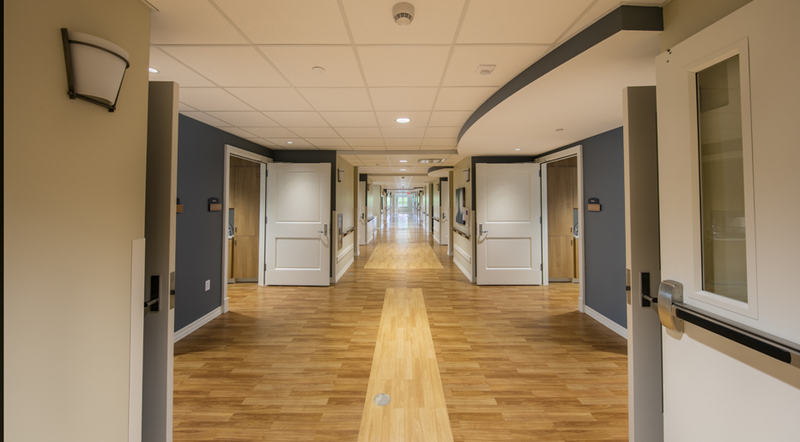 The goal is to simplify the design while maintaining integration with the first phase of the project which included 88 independent living units. 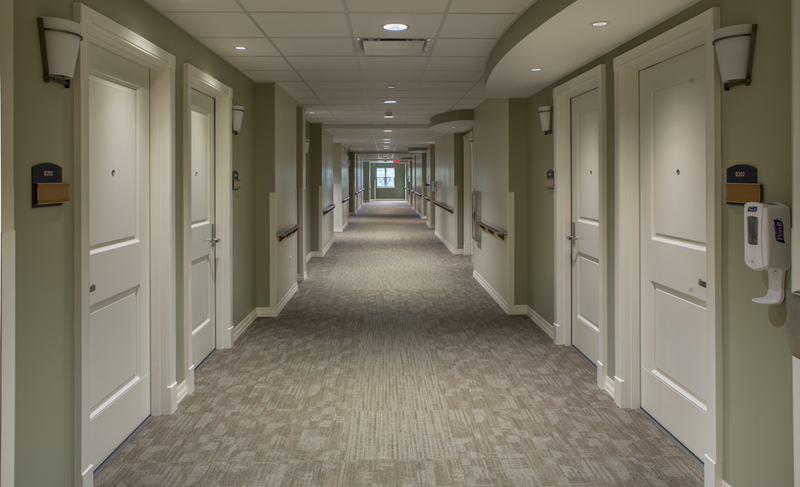 Expand existing independent living and plan for continuum of care by planning for skilled nursing so clients have an option to age in place. 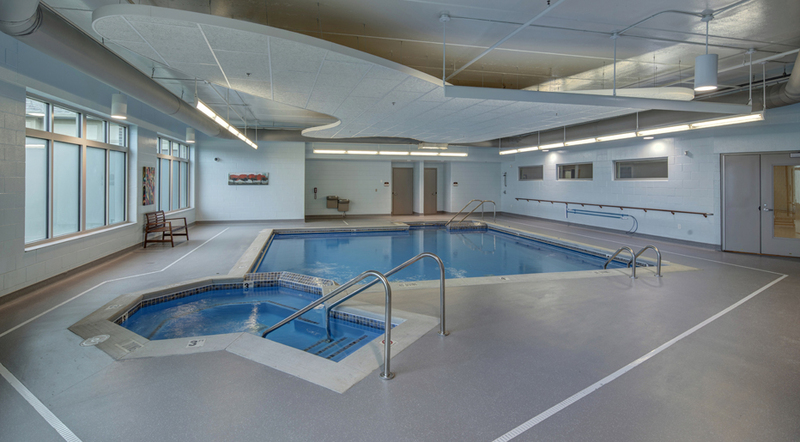 When complete, the new independent living facility will have a community room with pool/spa, fitness center, and retail components that double the number of existing units. 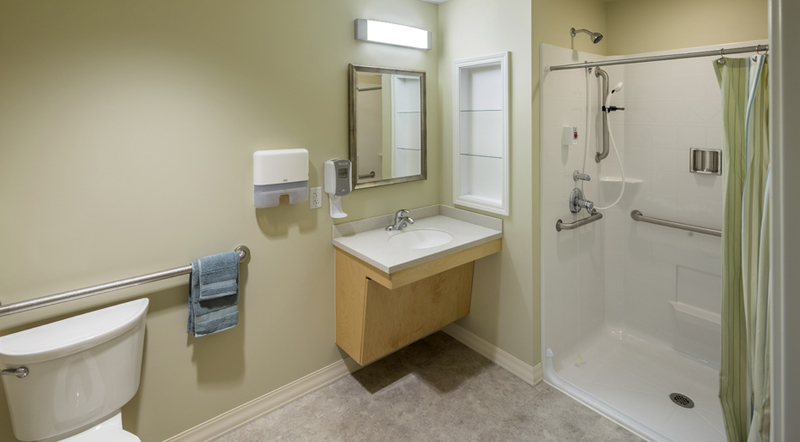 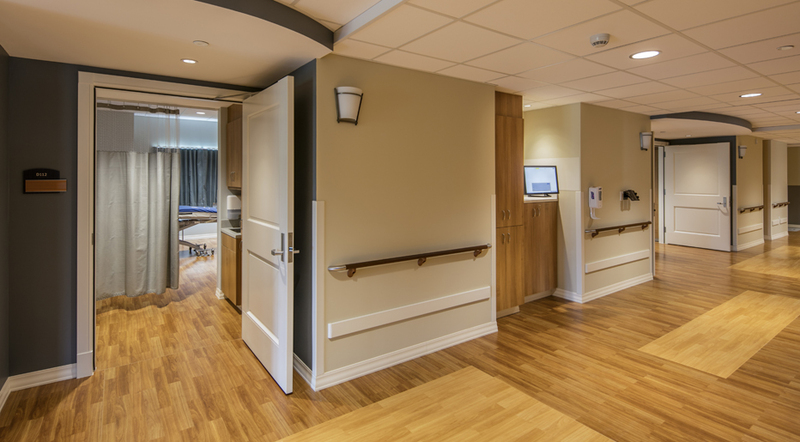 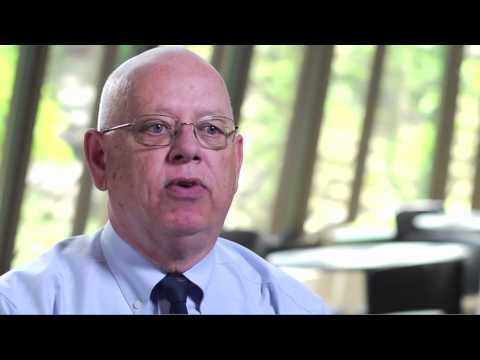 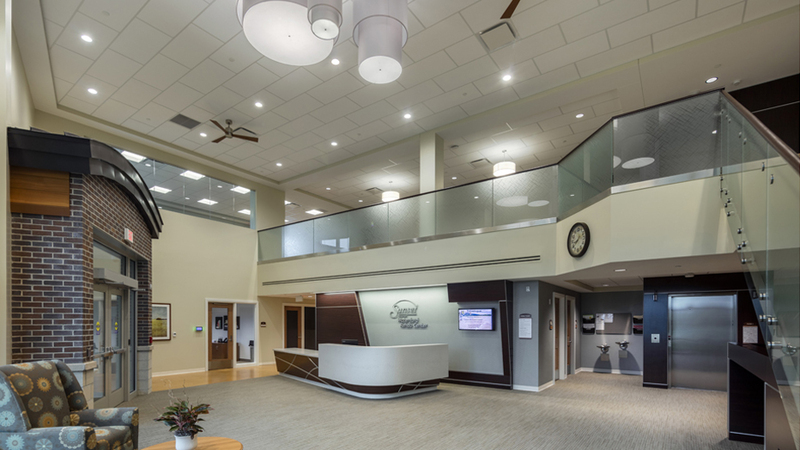 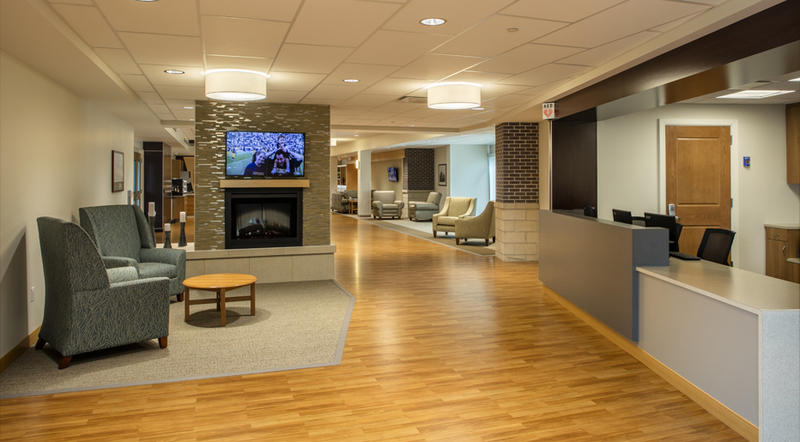 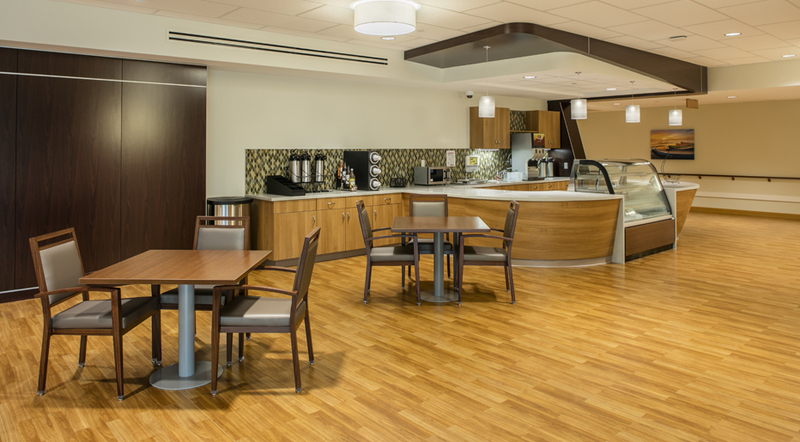 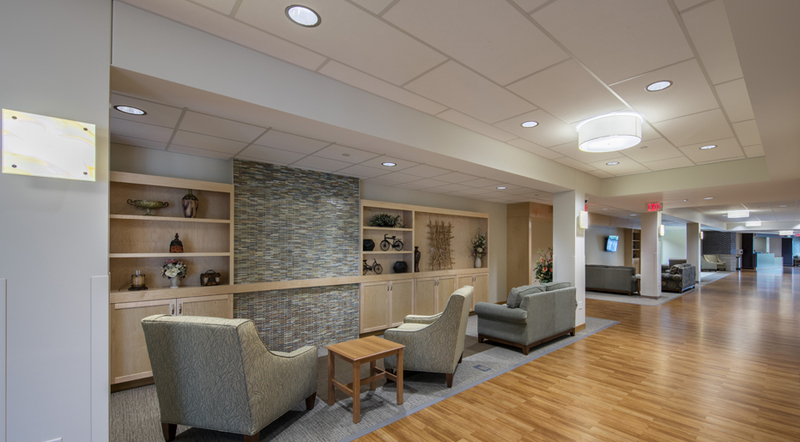 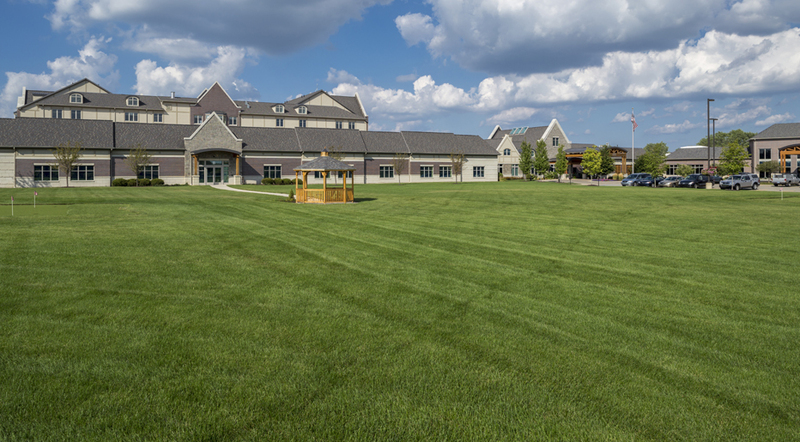 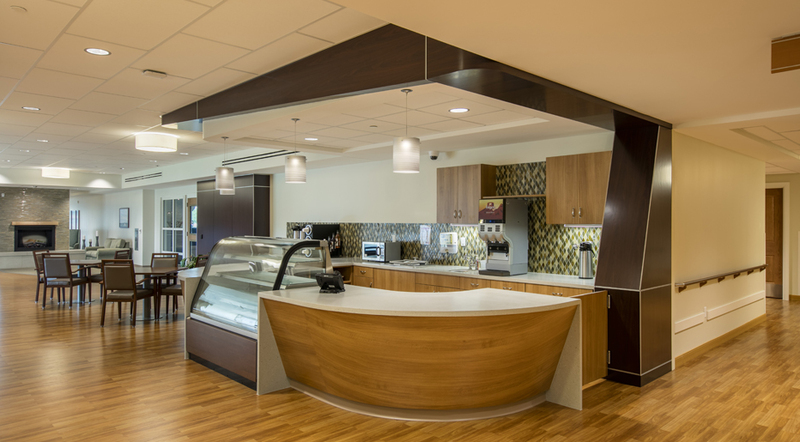 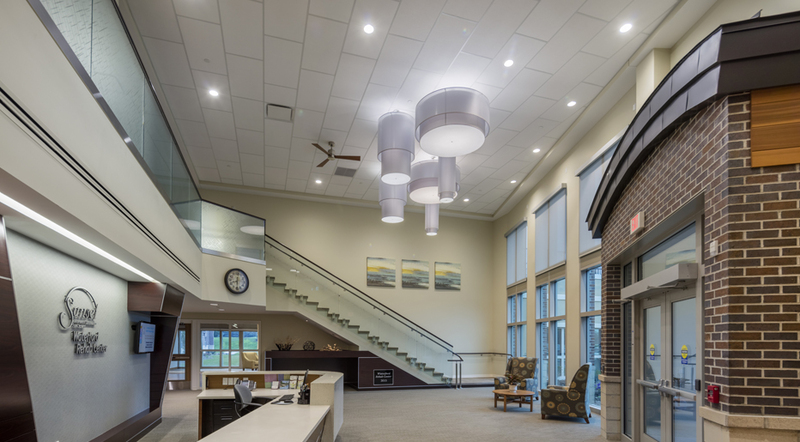 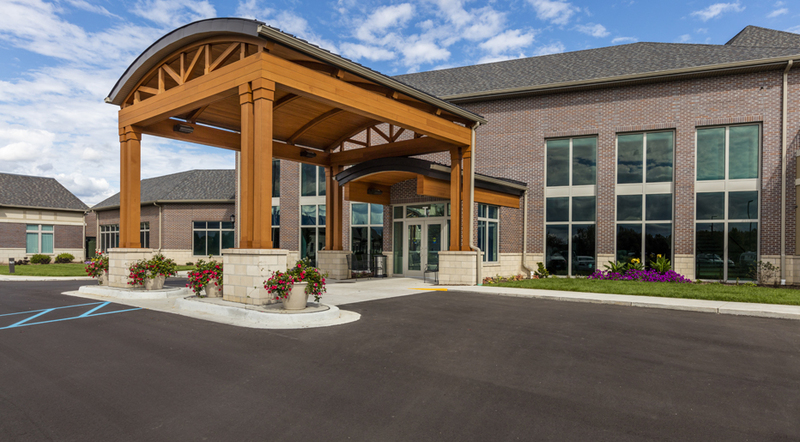 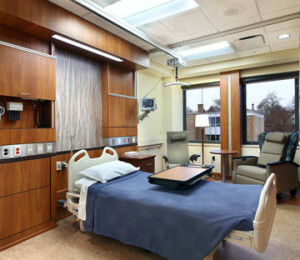 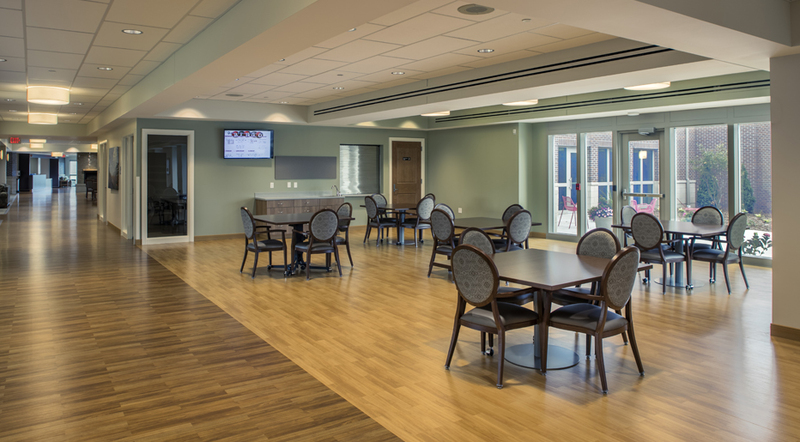 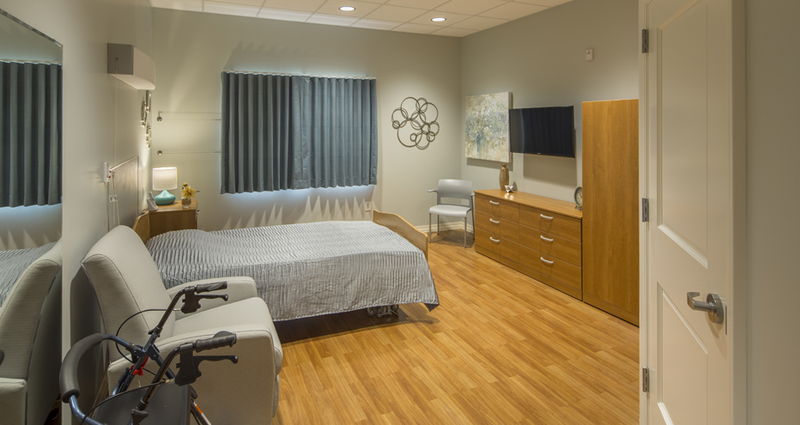 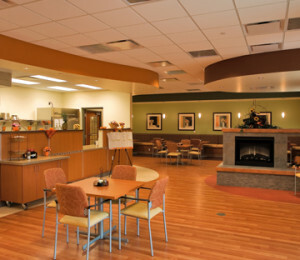 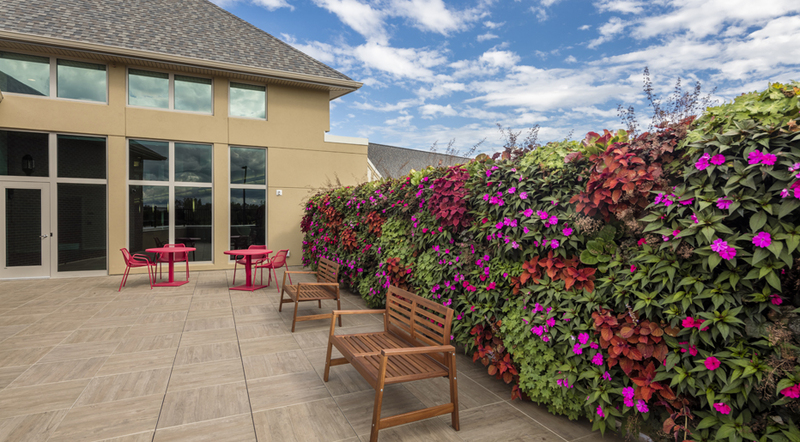 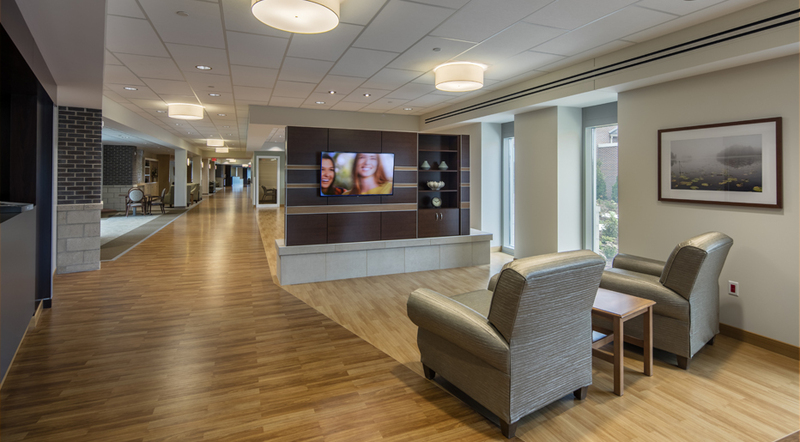 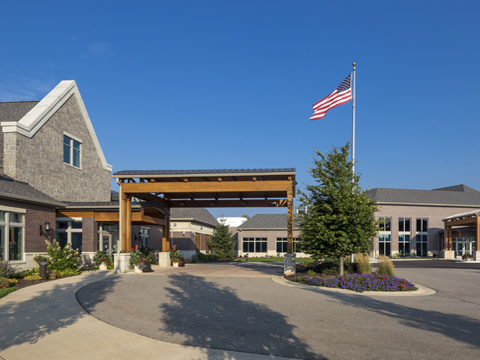 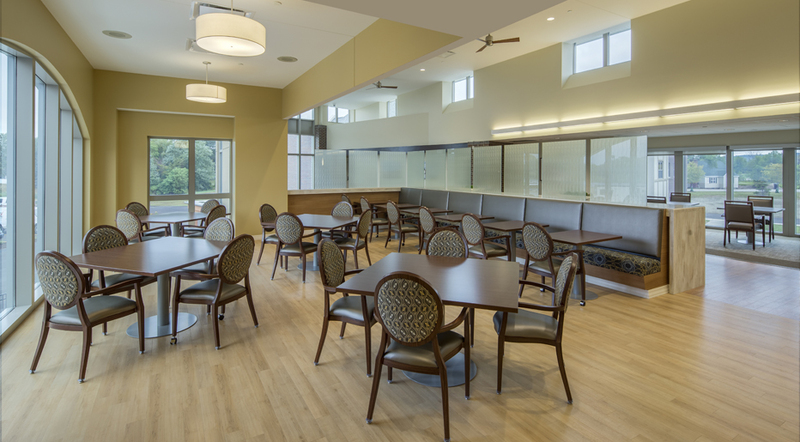 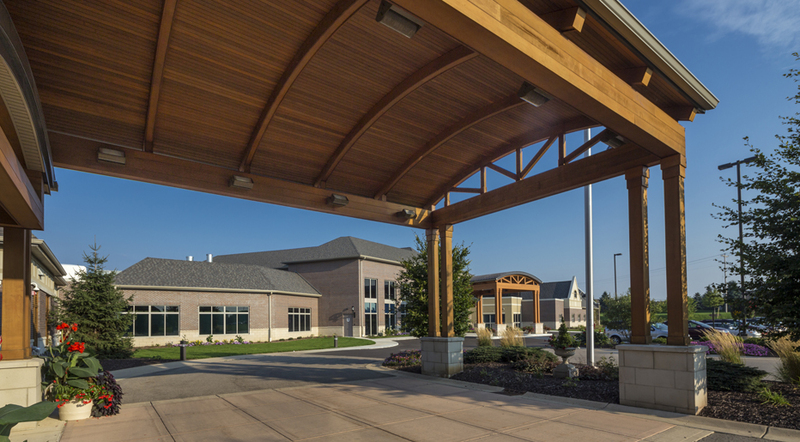 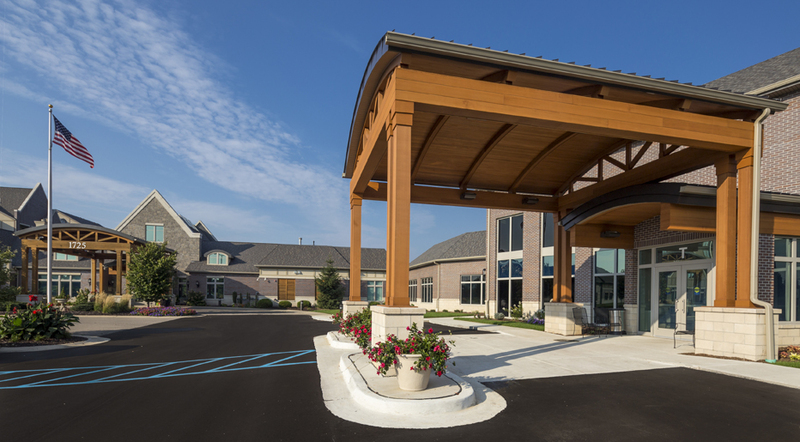 Assisted Living and Skilled Nursing facilities were master planned to complete continuum.